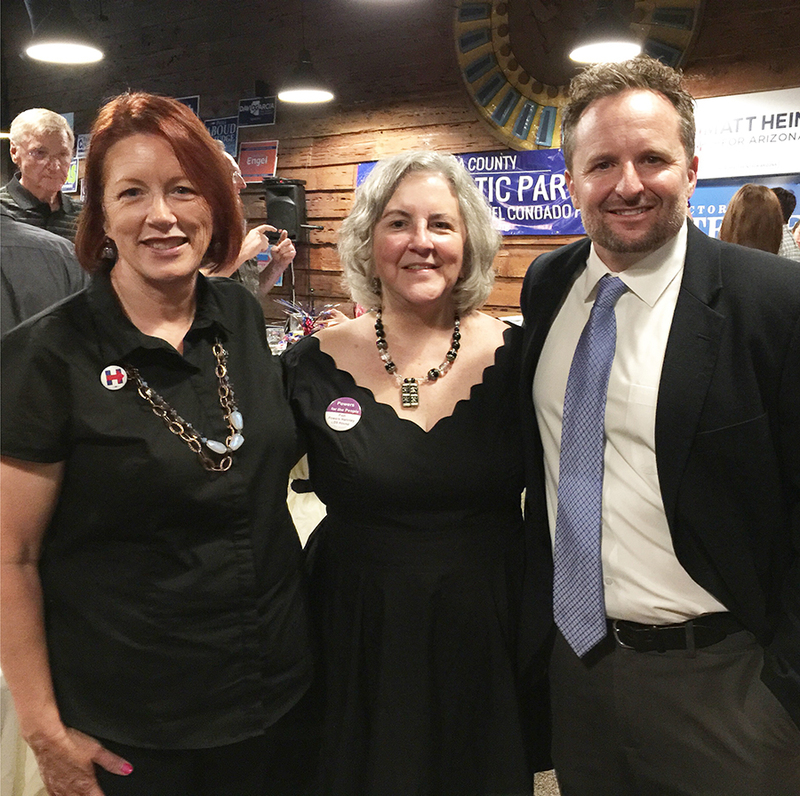 Pima County Democratic Party Chair Jo Holt, Pamela Powers Hannley (LD9 candidate) and Dustin Williams (Pima County Superintendent of Schools candidate). 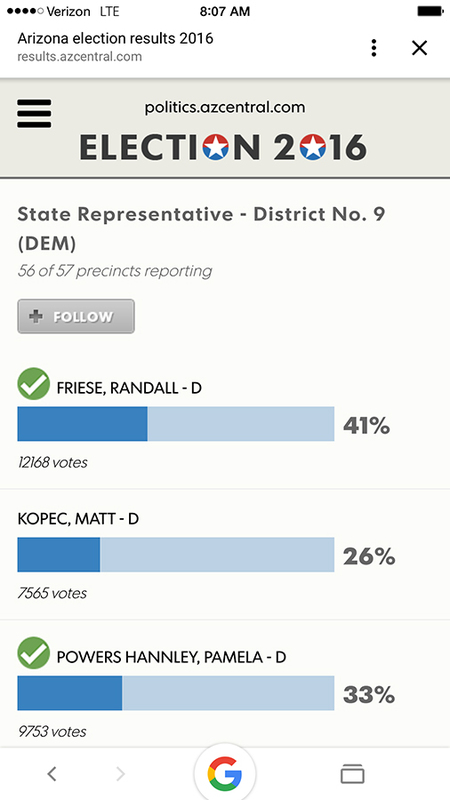 My race is the only Southern Arizona race in which a challenger took down an incumbent. Although this is the third time that a Pima County Supervisors’ appointee has been defeated by a challenger, many in the news media and the party establishment are scratching their heads in amazement at my win. One local writer said that “maybe voters knew and loved Pamela Powers Hannley” but suggested that the likely reason that I won is that “Women have an edge in ‘low-information’ races”. So– more than 9000 people voted for me just because they didn’t know any better? If people were doing eenie meenie miney moe in the voting booth, the vote would have been closer. This entry was posted on September 1, 2016 by Pamela Powers Hannley in 2016 elections, Affordable Care Act, Ana Henderson, Arizona, Arizona Legislature, Clean Elections, Democratic Party, Pamela Powers Hannley and tagged #PowersForThePeople, Pamela Powers Hannley.